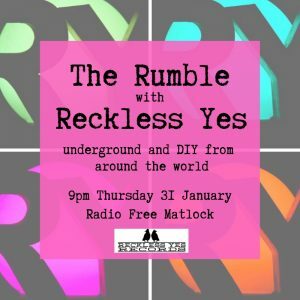 The Rumble returned to the airwaves on 31 January 2019 as we broadcast for the first time on Radio Free Matlock. We gave you an hour of gems from the underground, unsigned and DIY scenes around the world including a classic album track from our recent signings Turkish Delight and two tracks from our featured artist Dream Nails. The Rumble is co-presented by Pete Darrington and Sarah Lay, produced by Sarah and edited by Pete. It was recorded at Snug Recording Company. You can tune in live at 9pm the last Thursday of the month at Radio Free Matlock or listen again on Mixcloud. This show was first broadcast at 9pm on Thursday 31 January. We encourage you to seek out these bands, buy their music and merch, or at least follow them and share their stuff on social media and streaming sites – support independent music and musicians however you can! We’re next on air at 9pm Thursday 28 February 2019. 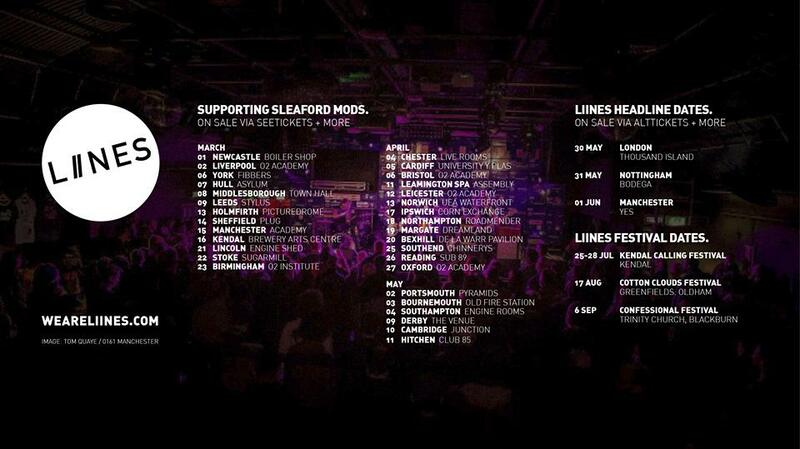 If you’d like us to consider your music for the show please check our demo policy and send it to us through that route.